Kimberly Brown - Voxmasters: High Quality Audio Book Recording Services For Christian Authors. Kimberly Brown was destined to be a singer. For more than 40 years, she has been singing her heart out. As a music lover from a very early age, she was fascinated with all kinds of music. She pressured her parents to buy B. J. Thomas’ record "Raindrops Keep Falling On My Head". This was the beginning of a whole new world. Kimberly began singing at her father’s church at the age of seven, and her love has always been Christian/ Gospel music. As a member of the famed group "Sounds of Blackness" for fifteen years, she toured around the world (Brazil, Switzerland, Japan, Mexico, London, Holland, and to many other wonderful places), and enjoyed success as a two-time Grammy Award Winner. Kimberly has worked with many national artists and producers such as: Jimmy Jam Harris and Terry Lewis, Quincy Jones, Mervyn Warren, Stevie Wonder, BeBe and CeCe Winans, Kenny G, Luther Vandross, Larnelle Harris, Amy Grant, Marvin Sapp, Fred Hammond, Take Six, Dizzie Gillespie, Kenny Loggins, Johnny Mathis, Joe Samples, Chaka Khan, Patti Austin, and many more. She has performed at the White House, The Kennedy Center, the world famous Apollo Theater in Harlem, and many other prominent venues. She also performed the World Cup theme song with Darryl Hall. She has also appeared on the Today Show with Bryant Gumbel, The Tonight Show with Jay Leno, The Arsenio Hall Show, Comic Relief, The Stellar Awards, The Grammy Awards, and many other nationally broadcast events. She also sang on the original soundtracks of major motion pictures Batman (with Prince), House Party 3, Posse, Mo’ Money, The Prince of Egypt and Panther. She works extensively in her local music market as a singer/songwriter, director, actress, model, teacher, studio vocalist, spokesperson, speaker, and she is currently the Director of Music Ministries at her local church, First Trinity Church of God in Christ in St. Paul, MN, and of the local Fellowship choir for the Minnesota Second Ecclesiastical Fellowship, Church of God in Christ. In 2011, Kimberly created Get Up, Get Moving, a theme song for the American Heart Association. It is available on itunes, amazon, cdbaby and other digital sites, including her own web site, www.kimberlybrown.info. Kimberly has a heartfelt passion to share her message through music and raise awareness in the fight against heart disease. Kimberly describes herself as ordinary, but is actually quite extraordinary. She is the founder of Kimberly’s Kreations, a private cookie company, and in addition to her music career, she models, acts and is the visionary for PKS 4 EVER, a ministry for Pastors’ children. She has won several awards including: Citizenship and Discipleship awards, Minnesota Jurisdictional Woman of the Year award, a local Music Director Award, and a 2012 American Heart Association Volunteer Appreciation Award. Kimberly is a loving wife and mother, and credits her parents, Pastor and Mrs. Henry Brown, for her firm foundation and her solid, Christian values. She is very committed to volunteerism, and has given of her time, talent, and finances to support local charities such as: Trinity Ministries Community Meal Program, The Twin Cities Ronald McDonald House, The American Heart Association, The Jeremiah Project and several other local organizations. She has been an ambassador for the American Heart Association’s Power to End Stroke and Go Red For Women Campaigns since 2007, and became a spokesperson in 2011. Kimberly performs and hosts “Family and Friends: Bring a Friend and Join the Family” Coffee House Concert Series in the TwinCities, and surrounding areas. She also hosts a local event called, Thankful Thursday—a worship event held at various churches. 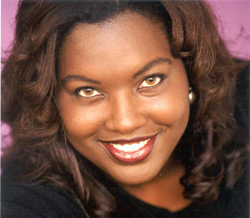 She hosts an annual Christmas concert, “Home for the Holidays with Kimberly Brown”. Her singers and holiday band are always excited to celebrate the holiday season with a live concert that brings people together, and keeps us focus on the real meaning for Christmas, which is Jesus Christ. In the Spring of 2013, she was cast in the starring role as Minnie Pearl in the gospel play, “You’re Gonna Miss Me When I’m Gone.” She recently co-wrote “Survive” with Steven Daniels, CEO and Founder of Xcentric Records. She claims that this song is an anthem for survivors from all walks of life, and for people everywhere.